Crafts and Cravings: Riley and Company's April Release! It is new release day today! Riley and Company will be releasing 29 Funny Bones sentiments and 26 new sentiments from a new stamp line called Inspirations! The Inspirations sentiments is a brand new line designed to be used in Art Journalling, Scrapbooking, Card Making etc. 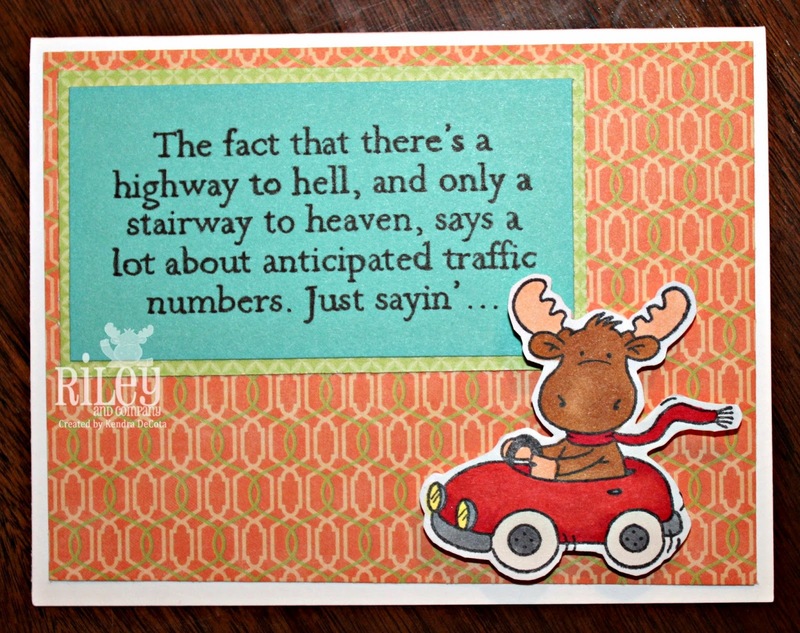 The card that I have made today is using one of the new Funny Bones sentiments. I really love this saying, as it incorporates two very good songs and makes a thought provoking statement! It really makes me laugh! Special #1: Buy the entire unmounted set of 29 new Funnybones for only $95.00! (Save $50!) (Offer not available to wholesale customers.) Limit one per customer. Offer ends April 17th. Special #2: Buy the entire unmounted set of 25 new Inspirations stamps for only $75.00 (Save $50!) (Offer not available to wholesale customers.) Limit one per customer. Offer ends April 17th. in the coupon code section! Make sure you check out the rest of the design team's projects and then head on over to the Riley and Company Store and start shopping!